Bhambri failed to capitalise on his start where he won the first set 6-4 against one of the best players at this year’s tournament in Pierre-Hugues Herbert. 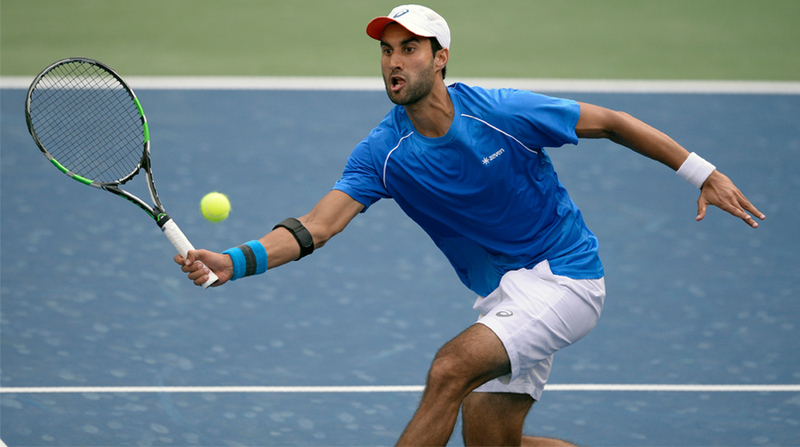 India’s hopes in the singles competition of the Tata Open Maharashtra tennis tournament took another blow on Wednesday as Yuki Bhambri lost to France’s Pierre-Hugues Herbert 6-4, 3-6, 4-6 in the second round here. In what was the toughest test for Bhambri so far in the tournament, the World no.118 failed to capitalise on his start where he won the first set 6-4 against one of the best players at this year’s tournament in Pierre-Hugues Herbert. Bhambri looked confident from the start but after winning the first set comfortably, the 25-year-old Indian seemed to have lost his touch as Herbert fought back into the match at the Mhalunge Balewadi Stadium. With a total of 13 aces in the match, Herbert did well in making the most of his serving, but it was Bhambri who had the momentum going into the second set as the crowd was also cheering him on. Only 20 per cent of Bhambri’s total points in the second set came off the returns and it looked like he had lost his rhythm as well. However, credit went to the eighth-seed Herbert who produced some great serves to fight back and win the second and the third sets and make his way through to the quarterfinals. The win for world No.81 Herbert means that the Frenchman might end up facing top-seed Marin Cilic in the quarter-finals but the former will be hoping that India’s Ramkumar Ramanathan can produce an upset in his second round clash against Cilic, which would make it an easier tie for Herbert. In the other men’s singles second round matches, it was fourth-seed Benoit Paire who defeated Marton Fucsovics 6-4, 6-7, 7-6 in a very close encounter which lasted more than three hours, to make it through to the quarter-finals. Fifth-seed Robin Haase also had to graft in his second round encounter against Nicolas Jarry after the latter won the first set 6-3. World No.42 Haase revived his game in the second set and came from behind to continue his fine form as he won the match in three sets 3-6, 7-6, 7-5 to advance to the quarter-finals.